On June 30th I experienced the best fast food burger I’d ever eaten. 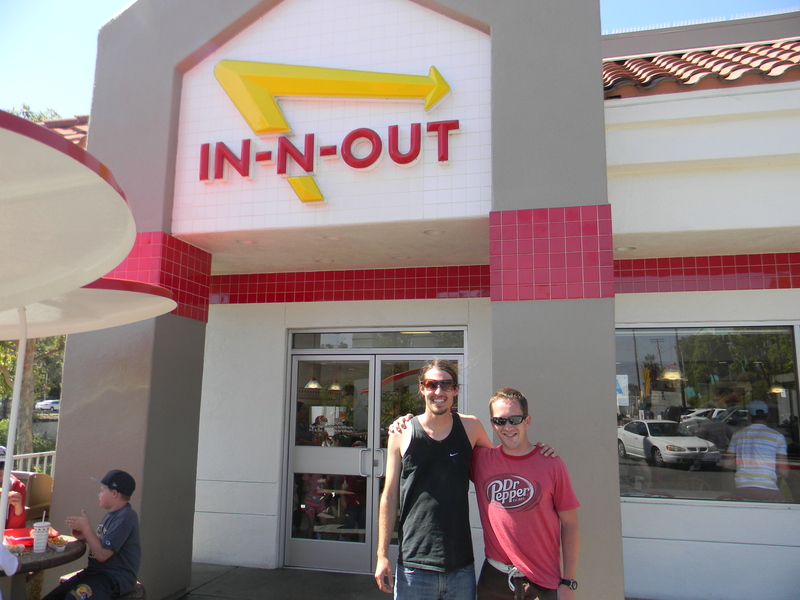 I went to In-N-Out Burger for the first time. It was as good as advertised and well worth the 28 year wait. Plus, eating at the burger joint, which has a much deserved cult like following, capped off an extremely great weekend. The day before, I stumbled out of bed in Colorado, a perfect state to live in, save for the lack of In-N-Out Burgers, and boarded a plane at an unhealthy hour of 6:00-am for San Diego. The real reason for my early flight was a wedding. 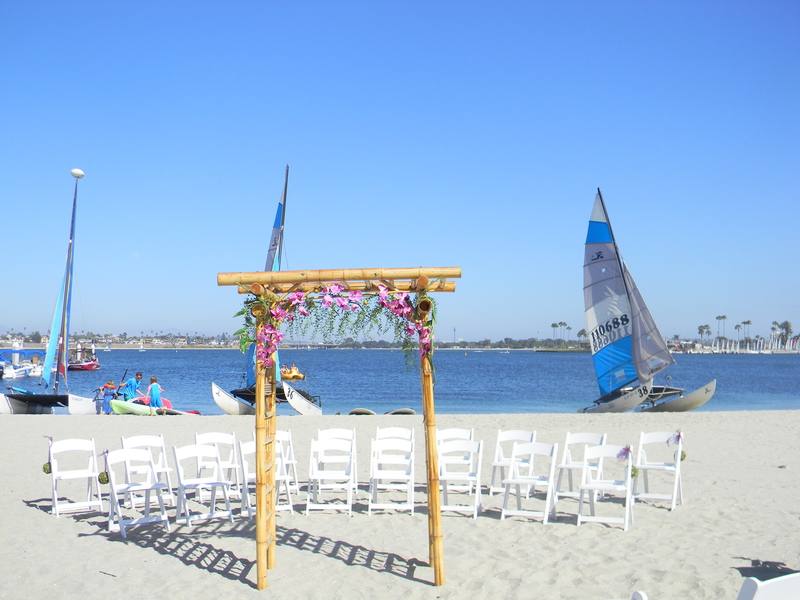 My good friend RJ was to be married on the beach behind the Catamaran Resort. RJ and I were in a men’s life group in college called Rootz (The spelling is still being argued over). Over the years our friendship deepened over our love of sports (I have to constantly forgive him for being a Patriots fan) and adventures. Our friendship grew stronger when I moved to Guatemala. No, RJ didn’t ever visit, he was too busy trying to find his life’s calling here in the states, and I don’t blame him, because if he hadn’t, he never would have met his future wife. No, RJ was one of the few from Rootz who stayed in contact with me while I was in Guatemala. 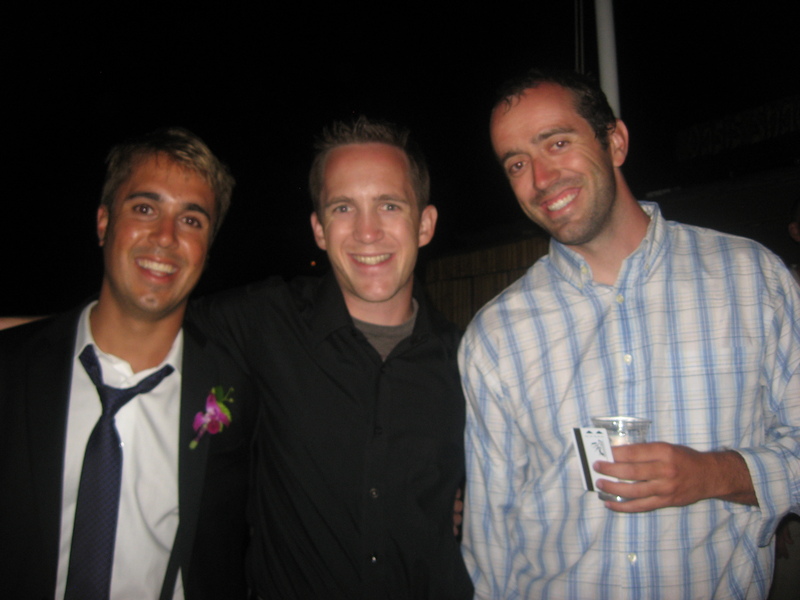 His commitment to the friendship meant a ton to me, and so when I received the invitation to his wedding in the mail, I knew I needed to be there. 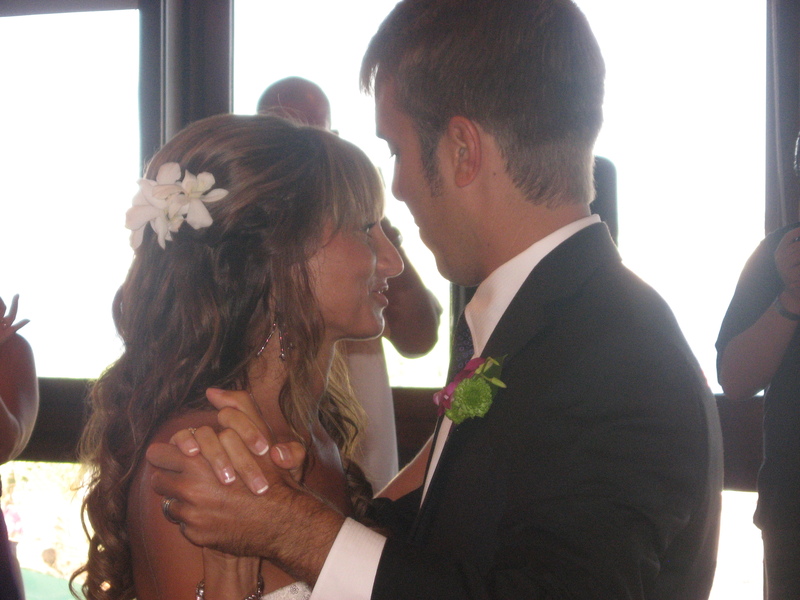 His wedding was at 3-pm on Friday, June 29th, the same day as my early flight. 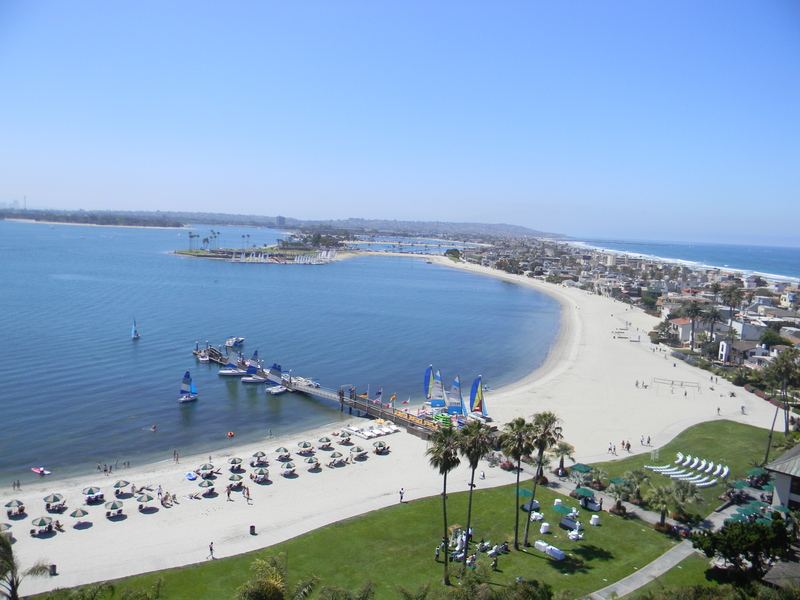 I would’ve loved to have spent more time in San Diego, but on my meager budget I could only afford one night. I boarded my plane in hot Colorado, leaving the horrible forest fires behind, and half a morning later I walked out of the San Diego Airport. The clear blue sky and 70 degree temperature instantly made me love the city. Around 2-pm I started making my way to the Catamaran Hotel with my friend Rob. We’d decided to walk over to the wedding, only a three mile walk, which is nothing when the sky is clear blue sky and cool breeze comforts you along the way. Walking is also a plus because Rob found a 20 dollar bill along the way. My discovery wasn’t as cool, but when I saw that one of the wedding guests was wearing sandals I was ecstatic! Without hesitation I peeled off my hot dress shoes and slid on my sandals. The wedding was beautiful. RJ and his wife, Andrea, couldn’t have asked for a better day. Andrea was gorgeous and RJ looked stellar. But I think the wedding could’ve been in bland Wichita (my apologies go out to Marinés, my only friend who lives in the little Kansas town) and I still would have been thrilled to be there. Yes, it was a blast to dance the night away, to take a ferry across Mission Bay at midnight, but nothing compared to being there for my friend. I wanted to be at the wedding to let RJ know I supported him and Andrea and that I would be praying for them as they took the next step in their lives. 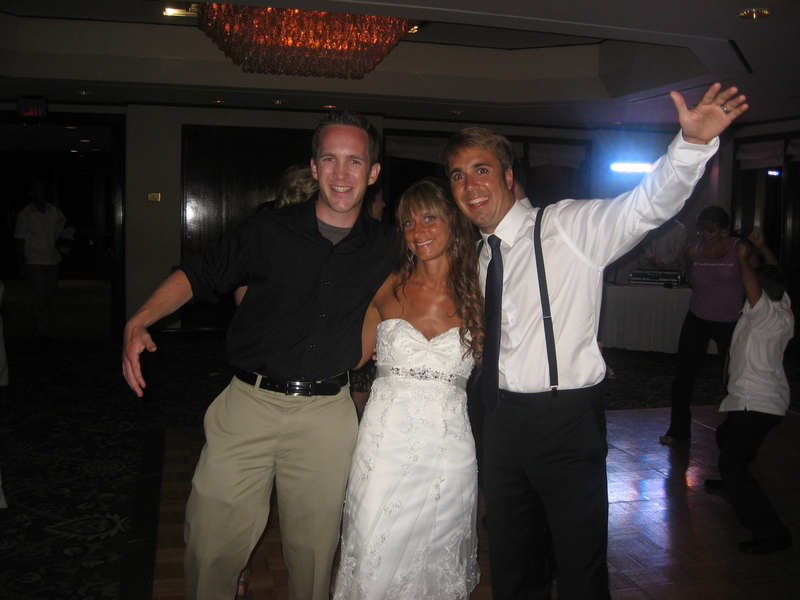 I haven’t been able to attend all of the weddings that I’ve been invited to, but as I danced, ate, and spent a little time talking to RJ, I knew this was the best way I could say thank you for being my friend. I believe strongly in staying connected with people. Sometimes it takes only a phone call and sometimes it takes a plane ride. I guess that’s why I went to the wedding, but it’s also why I went to In-N-Out Burger. The day after the wedding, after a great breakfast with RJ and Andrea, I met up with another friend who lives in San Diego. Kasey and I had worked together in Guatemala. We hadn’t talked in almost a year, since we’d both moved back, but as we ate, our friendship felt instantly renewed. Maybe that’s what having a Dr Pepper, animal style french fries, and a burger with special sauce will do. Or maybe that’s what happens when you reach out to your friends. After we ate our burgers Kasey drove me back to the airport. I was exhausted. My trip to San Diego truly had been in and out, but even though it was so quick, it was very much worth it. For me, even a quick trip is worth reconnecting with friends and showing them that you care about them. I mean if we didn’t have friends and family, who would we love and be loved by? 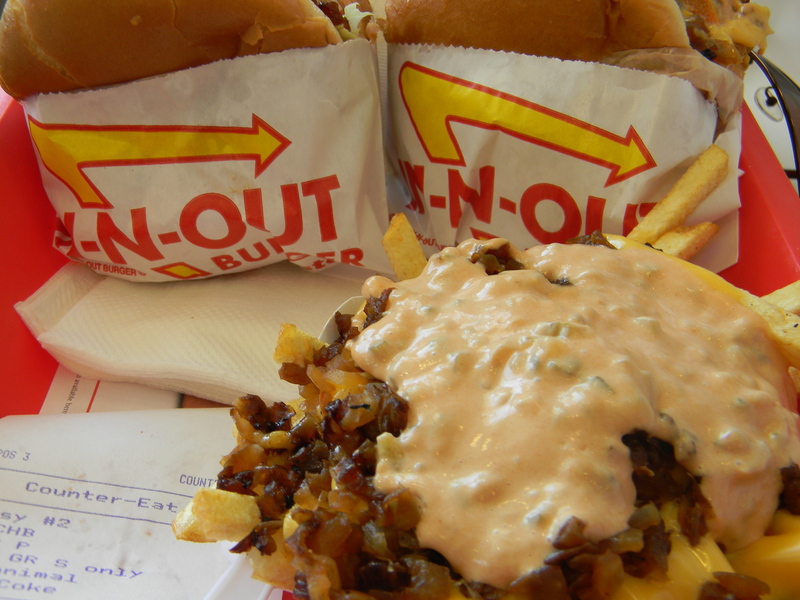 Or more importantly who would take us to In-N-Out Burger? Friends are a true blessing! Me to ,not the negitive ones that are constantly complaing about this, that or the other.good friends are a real blessing .!!!! joan g.
Yeah, those aren’t real friends. Thank you for sharing a wonderful time. Just reading it made me feel happy for you and your friends. We have an In and Out place too. we are older and dont go often, but when we do I always like to see if the Bible scripture on bottom of soda is still the same. Thanks again!